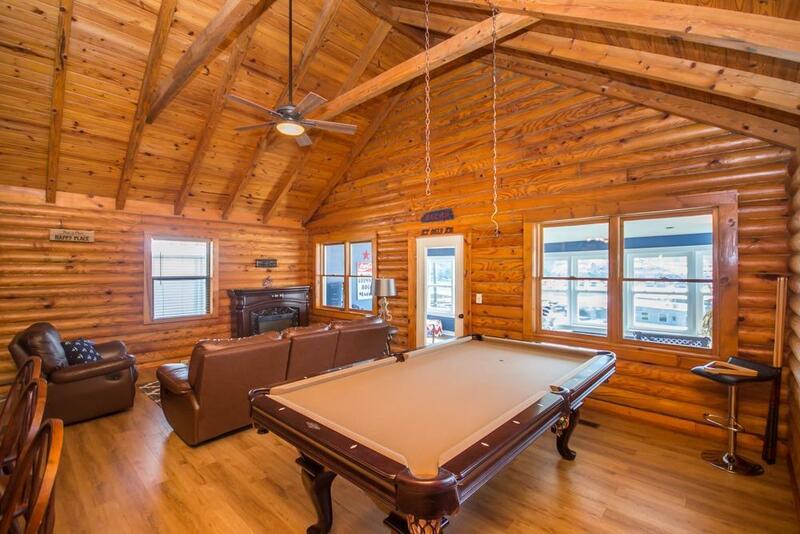 Come and see this beautiful log cabin at Lake Herrington! 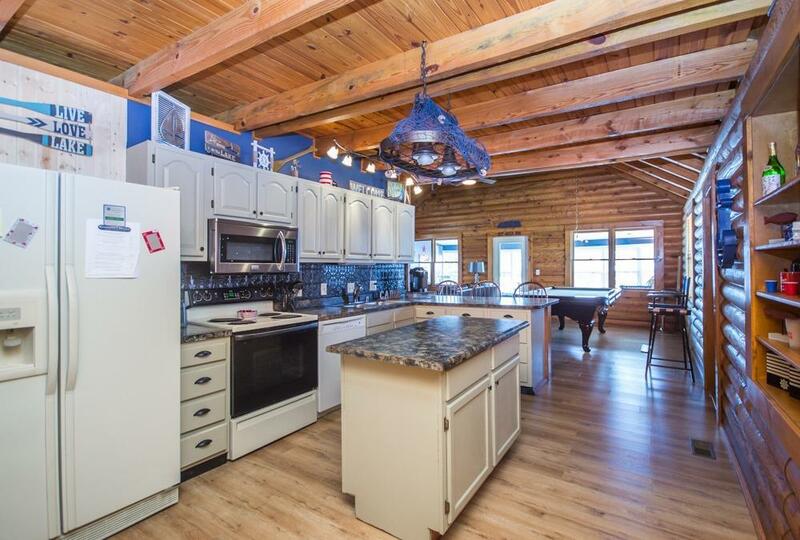 It is FULLY FURNISHED with an incredible view of the lake that backs right up to the water. The house is walking distance to Chimney Rock Marina. Everything that you see in the photos stays with the house. There are two master bedrooms on the first floor, each have their own bathroom. One of the master bathroom's can be accessible through the living room as well. The loft upstairs can sleep 8 more guests! 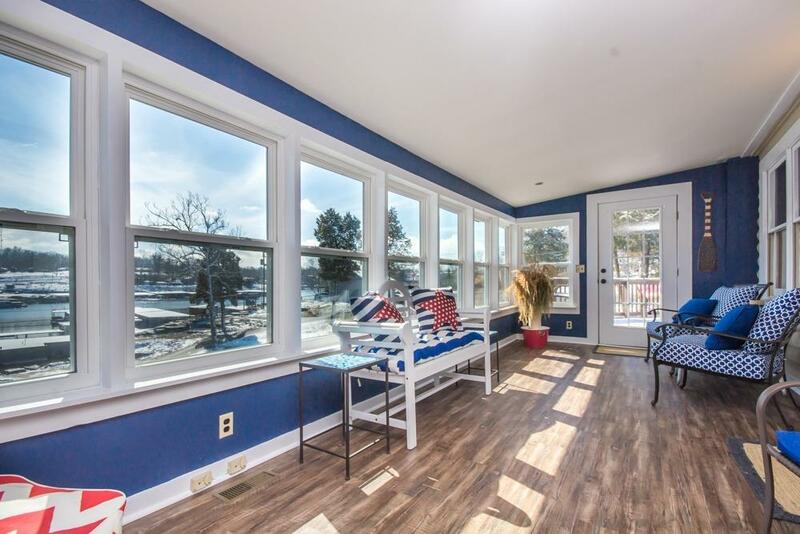 The upgrades include the following: HVAC 1 year old, roof 4 years old, brand new pool table, new carpet, new backsplash, new lava stone landscaping, new asphalt driveway, new paint. 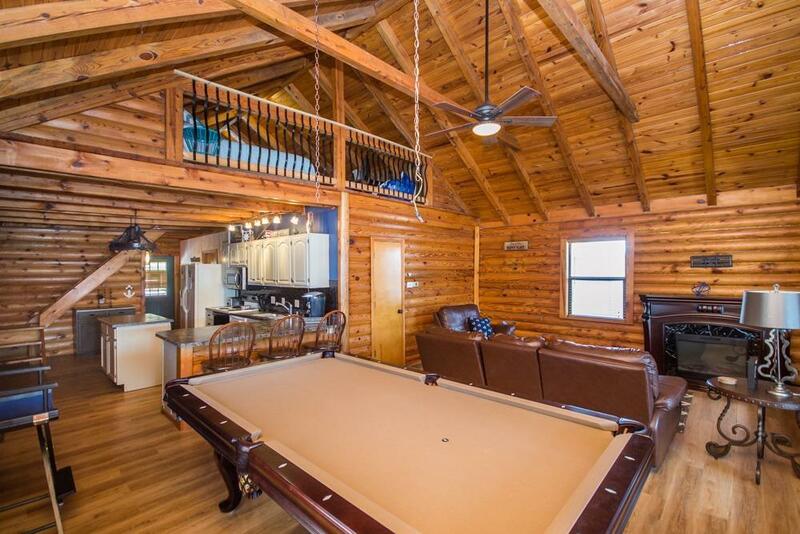 This house is move in ready for this summer, all you need to bring is your bathing suit! There is a partially finished space in the basement to store all of your lake equipment. The exterior stain looks amazing on this home. The property has been well maintained and it is in amazing condition. Don't wait, Lake Season will be here before you know it! Listing provided courtesy of Taylor Martin of Keller Williams Bluegrass Realty. Listing information © 2019 LBAR Multiple Listing Service. All rights reserved.